An evening of drunken debauchery, sexual rivalry and political debate turns bloody when a wealthy couple visit their friends, brother and sister Alex and Marion, in their decaying family home in the English countryside. A curious and highly effective blend of social satire, jagged political commentary and horror, Sleepwalker was thought lost for many years, with some doubting its very existence, it is so rare and obscure. Director Logan found it difficult to obtain distribution, partly because of the film’s running time (a trim and taut 50 minutes), partly because it’s so genre defying. While not a horror film in the strictest sense of the term, Sleepwalker is still incredibly atmospheric and eventually nightmarishly violent. The barbed points it makes on political life in Eighties’ Britain, many of which remain searingly relevant, slice through to expose bare bone. The spiky dialogue is peppered with telling references to sleep disorders and serves to fuel the ambiguity of the narrative, whether it be through drool humour – “Wake me up when this is all over” – or more sinister reflections – “Ever feel like we’re just characters in someone else’s dreams?” In Julian Grainger’s accompanying notes to the recent BFI release of the film, he describes Sleepwalker thus: “Like Pete Walker’s similarly delicious House of Long Shadows (1983), Logan’s film is a gift of black comedy that is merely trussed up in the wrappings of the Hammer horrors and Italian gialli Logan watched as a boy.” The work of Pete Walker and Dario Argento makes for interesting comparison; subtextually (Walker) and stylistically (Argento). Indeed if one looks closely at what Alex is translating on his computer, mention is made of someone arriving at Freiburg... A cheeky reference to Suspiria? The central scene, depicting the four characters at dinner, is as taut as any of the horrors that follow, with the diners all cutting into each other; figuratively speaking, of course. Their opposing social and moral attitudes breed uneasy tensions, especially between Richard (Nickolas Grace), a conceited bully and Thatcherite, whose very surname, Paradise, is indicative of the idyllic lifestyle he believes money can provide, and the more conscientious, though no less flawed socialist Alex (Bill Douglas). The female characters, Marion (Heather Page) and Angela (Joanna David), appear to quell their dispositions with alcohol, Marion is perpetually drunk, and tranquilisers, Angela seems so detached throughout it seems to imply she is medicated. She also reveals she met Marion in hospital 'during a difficult time', suggesting the pair share nervous, depressive characteristics. Logan ensures the entire political spectrum is subjected to critique and ridicule. When the four return to the house, the narrative begins to disintegrate as much as the onscreen relationships. It shifts in and out of the characters' fractured dreams as they fall into troubled sleep. It then appears a deranged attacker gains entry to the house and begins to commit gruesome murders. Or is it one of the guests? Or one of the hosts? Is the violence even real? Or imagined; born out of the collectively repressed tensions throbbing throughout the darkened house? 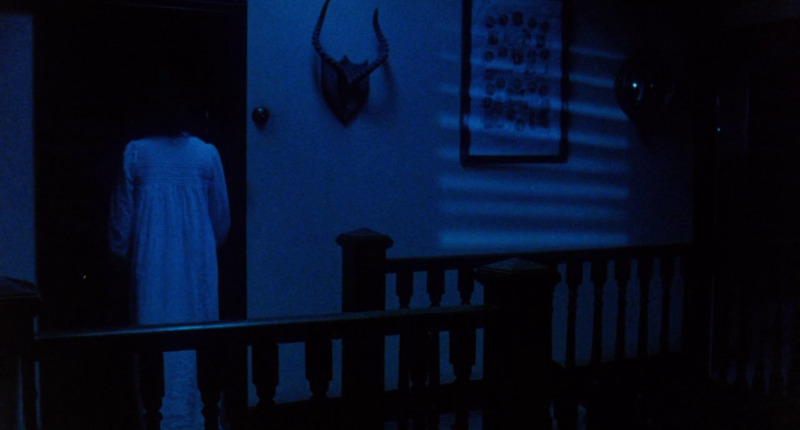 Eerie blue lighting saturates these later scenes, bathing everything in a warped, nightmarish sheen. 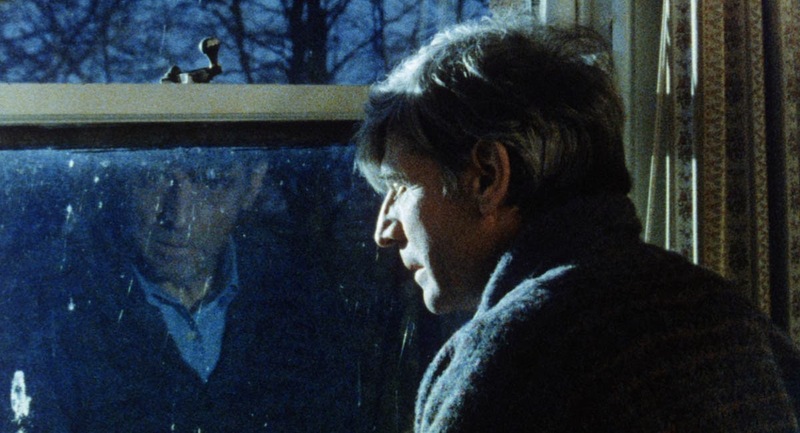 In the grand tradition of Gothic horror, the central location of the action, Marion and Alex’s ailing family home, is a reflection of the decay that runs rife throughout the lives of the characters, and their fractured psychologies. The name of the house, Albion - actually the oldest known name given to Great Britain – suggests that it also represents Britain at this time. Cold, damp, completely cut off from civilisation and in dire need of repair, Albion is crumbling around them. Indeed, the only landmark the siblings mention in their directions to the house is the for-sale sign it lurks behind along a dark country road. A jibe at how the Conservative government, under the leadership of Margaret Thatcher, sold out their nation in the early Eighties? The brother and sister family name is, oh so tellingly, Britain, while the married couple who join them is Paradise – a reference perhaps to how capitalist society would be, as viewed by capitalists, when finally free of socialism? 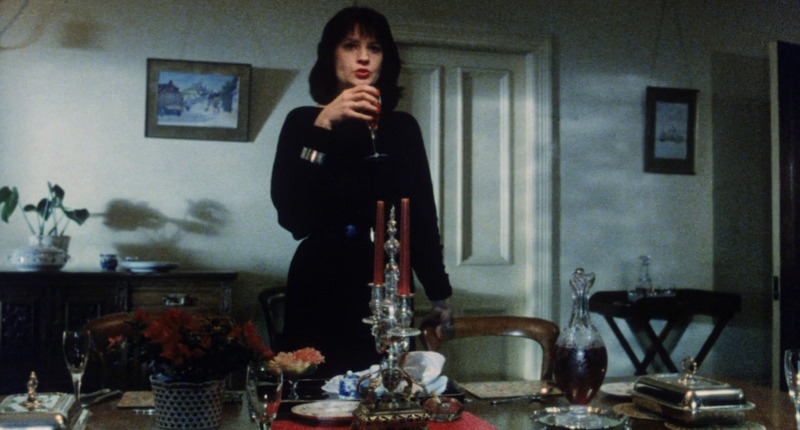 With scathing sideswipes at British manners and morals, shades of Abigail’s Party echo throughout the running time as issues such as class and politics take centre stage. The characters are all ridiculously middle class, so much so they are completely oblivious to anything but their own immediate needs, nay, wants. They range from bigoted, needlessly arrogant and forceful, to utterly ineffectual and complacent. By observing these characters and their interactions with each other, Logan seems to be saying that atrocities are born out of a common complacency so embedded in the subconscious, we’re not even aware of it. Until it’s too late. When Marion references Edgar Allan Poe’s The Facts in the Case of M. Valdemar - “He decomposes, darling, right before their eyes. A loathsome mass of detestable putridity – just like life, really”, Logan suggests that we’re all in such a hypnotic state, brought about by comfortable capitalist ideals that keep certain factions of society ‘in their place’, we sleepwalk our way through life from one incident to the next, blissfully unaware of what is occurring around us in the bigger picture. All the while our graves await us, as our political inaction causes decay and rot. As mentioned, the violence, when it erupts, is unsettling, brutal and sadistic. 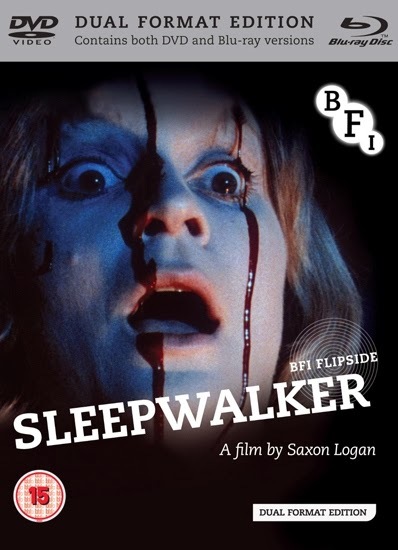 Sleepwalker unravels as a horrific representation of Britain at the start of the Eighties, and an atmospheric and biting work that, thanks to the BFI, should reach a wider audience. Great insightful review. Thank you!